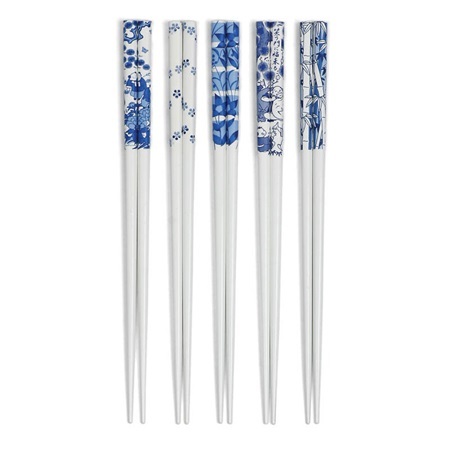 Blue & white chopsticks. 9" long. Handwash recommended. Made in Japan.